For the Excellent Gaming Build build we selected the Intel i5-7600k as our processor. If you're not building a workstation or professional machine, this is the de facto standard for overclockable gaming builds at the moment. To cool the i5-7600k while overclocking we selected the CRYORIG H7. The H7 is an excellent choice for our build aesthetically and will keep the temperature of the CPU cool while overclocking. All of our components are housed in the Phanteks Eclipse P400S. 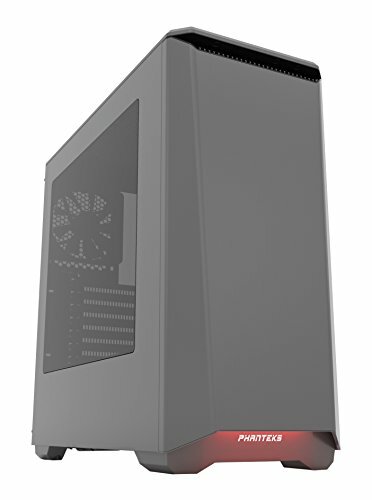 This case has a gorgeousblack finish with RGB accents, a large side panel window, room for enthusiast CPU coolers, watercooling radiators, and front panel USB3.0. For our power supply, we're using a parametric selection of well-reviewed fully and semi-modular units, all of which are 80+ Gold certified and provide more than enough power for this system while at stock clocks or overclocking. Nice build. When overclocking, will the PSU 650W handle it? I'm trying to understand how to pick the right PSU calculation what not when seeing the indicated power in PCPP (in this case 392W). Anyway, the wattage counter (with an appropriately sized bumper for overclocking) will tell you. EVGA is good and all but from what I've seen their PSU's give a hell of a lot of issues. Maybe I'm wrong I don't know. Some of their PSUs have issues like the NEX / G1, but any G2 or G3 is perfectly fine. Now i need to get a job and start saving for this build, thank you for making this build! Good luck on job hunting! I really like this build. My current computer has a 480GB SSD and i have never gone over 250gb as I keep most of my information in cloud storage. 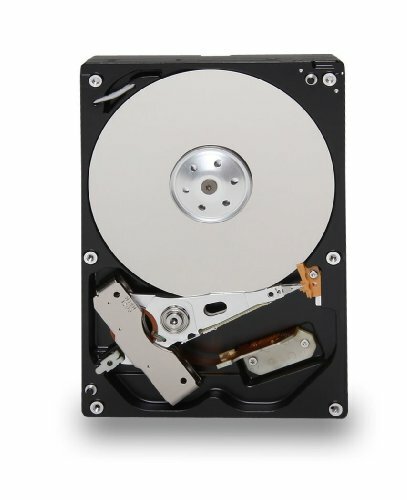 I am very new to PC building and am curious as to what the benefits of having a 3tb hardDrive as well as an SSD are? Thank You. 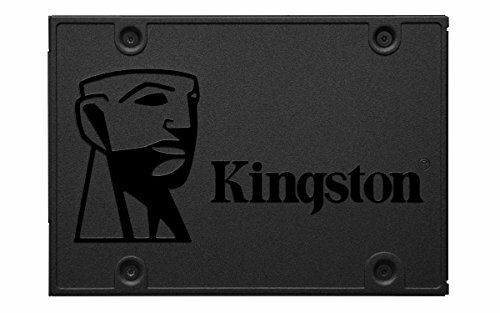 Would this be able to handle streaming and editing as well? Yes, it would be able to. Hey would anyone have any recommendations for a guide or video to follow for a first timer trying to put together this build? The 1600 and the 1600x really don't have a difference. The only difference is the price, not the performance. So, I would recommend the 1600. I'm new to building: is this build able to play upcoming AAA games? Yes, and it will be able to for a long time. Ignore bottlenecking. Focus on whether or not the 1070 meets your graphics quality preferences at the framerates you want to play at. Who the hell buys a soundcard in 2017? lol after posting that comment i googled if people still used soundcards... well today i learned not a lot of people do. Could i swap out the 1080 for a GTX 960 and still get good performance? First time building a PC, and im hoping to salvage that from my old one. 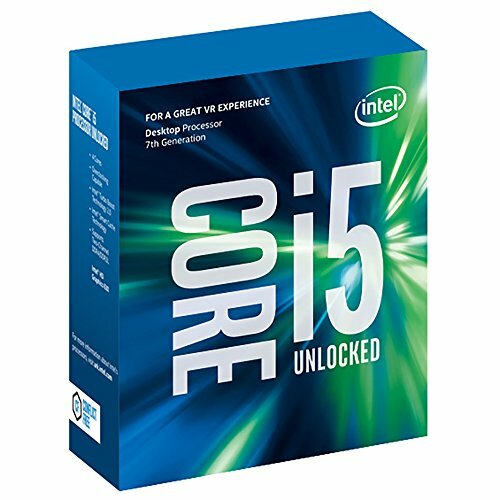 I'm new to PC building and I have a question: I want to switch out the i5 7600k to a i7 7700k, is that a good idea? I want my PC to last a long time purely for gaming. If I do switch, what other parts/components do I need to change to adjust with the i7 7700k? For games a good GPU is much more important than a CPU. You will be totally safe if you go with the i5 as long as you don't skip on a nice GPU. i5 should be pretty solid for gaming, especially for the price, and it will probably stay like that for a long while. if you do switch to an i7 7700k, you don't really have to switch anything out of the system, everything should work together like they would with an i5 7600k. just know that you wouldn't be fully utilizing the i7 7700k most of the time when gaming. Being completely honest, if you want your pc to last a really long time, I don't see going with Kabylake as the best idea, with its current estimated llife span of the platform(z170 - z270 chipset and 6000 - 7000 series of processors, etc) ending in around a year and the i7 7700k being the very best cpu you can get on the platform. There will be no more new cpu's on it and it will be replaced by cannonlake new year which will boast 6 core chips, which will not be compatible with these motherboards. Also to add, while the i5 and i7 provide higher framerates than the ryzen counterparts, they are nearly fully tapped out during gaming, meaning that their currently at their limit of performance. Ryzen cpu have much more untapped power for performace, they still have not been fully optimised, and as games become more thread based and optimised, the ryzen cpu's will gain more performance and last longer than the intel counterparts. The platform of AM4 is also said to be supported for the next 2-3 years, so there will be very likely new cpu's in the future to upgrade to. Also, to get the best out of the i7 7700k, you will need a higher end aftermarket cooler keep it cool enough, like an all in one watercooler, as it runs quite hot, sometimes requiring a delid just to stay at 5.0ghz stable, cutting further into costs. Best to save money and go with a ryzen r5 1600 and a b350 mobo and maybe the stock cooler if you want to futher save costs, as it still allows for OC's. And while it won't have the highest framerate when compared to the i5 or i7 but is very close behind, it and the am4 platform will last much longer, will be cheaper, has better frametimes and has more threads and cores (even comes with a stock cooler that is also beefy enough to allow for overclocking!). Then pair it with a gtx 1080 and have fun!